Product Consists : Marks and Spencer WOODSPICE Gentlemen Aftershave (Weight : 100 Ml), Shiny Gunmetal Gray Color Roller Pen and Diamond Studded Silver Color Cufflink Set along with Love Greeting Card. Impress your men with sweet lifelong memories gift hamper from yourself, by gifting this stunning combo of WOODSPICE Gentlemen Aftershave with Roller Pen and Studded Silver Cufflink along with Love Greeting Card to your loved ones. This is an incredible hamper for classy people who loved to received this type of charismatic combination products it will attract the attention and also you will be appreciated by your loved ones. 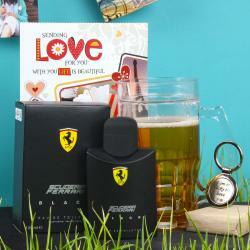 Perfumes can be gifted for plentiful reasons meanings and special thing is with one mouse click you can order. Valentine day is very important day for lovers as love has no age. Love can't be define it is only observed while sending these types of gifts on Valentine's Day, Birthday, Anniversary and Many more. 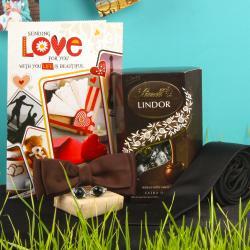 Giftacrosssindia bring to you a mind-blowing collection of Valentine's Gifts that give you so many gift options. 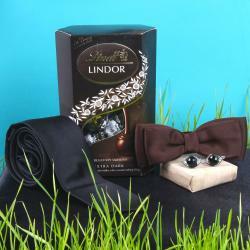 Check out our Valentine Gift shop that will help you to choose the best gift for your loved ones. 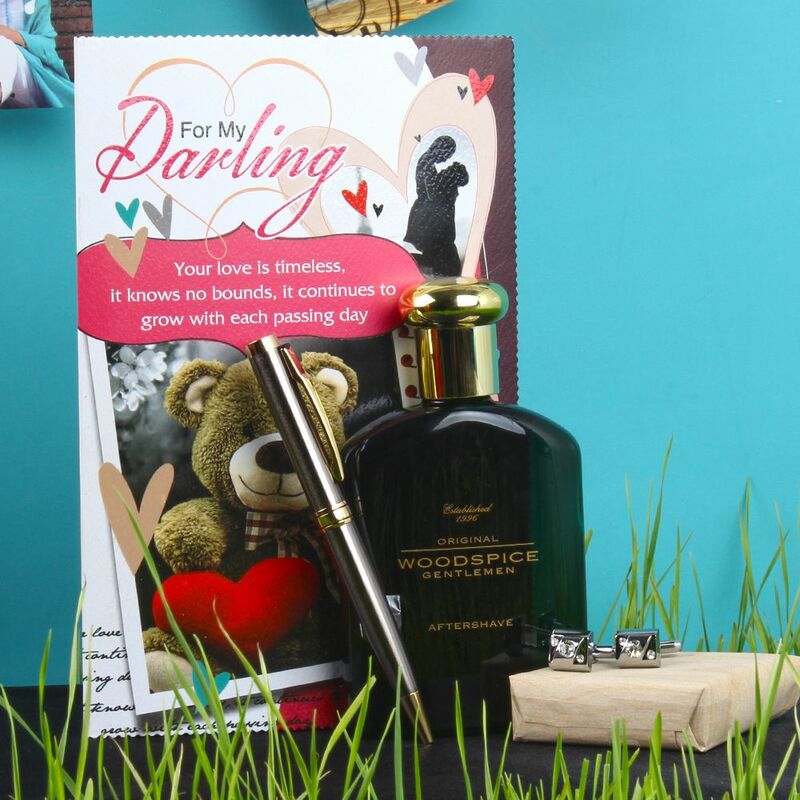 Giftacrosssindia bring to you a mind-blowing collection of Valentine's Gifts like WOODSPICE Gentlemen Aftershave with Roller Pen and Studded Silver Cufflink along with Love Greeting Card that give you so many gift options. 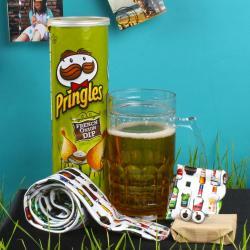 Check out our Valentine Gift shop that will help you to choose the best gift for your loved ones. Browse your favorite products, it is very conveniently available for online shopping from anywhere in India with Free Shipping. Product Includes : Marks and Spencer WOODSPICE Gentlemen Aftershave (Weight : 100 Ml), Shiny Gunmetal Gray Color Roller Pen and Diamond Studded Silver Color Cufflink Set along with Love Greeting Card.